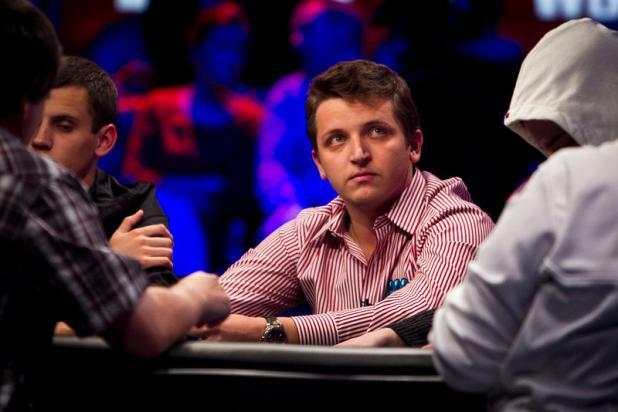 November Niner Anton Makiievskyi of Ukraine glances up at the monitors during play at the Main Event Final Table. 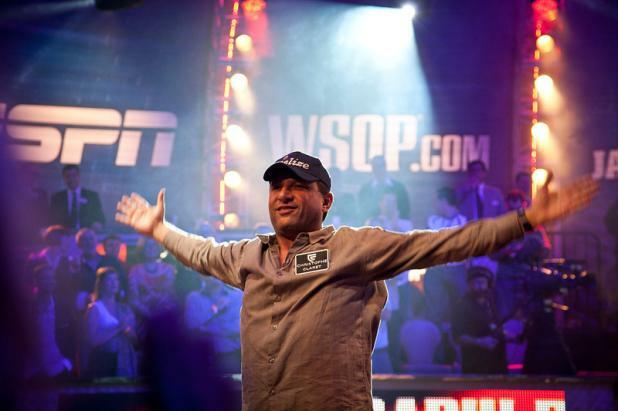 November Niner Badih "Bob" Bou-Nahara of Belize makes his 2011 Main Event Final Table entrance in grand style. 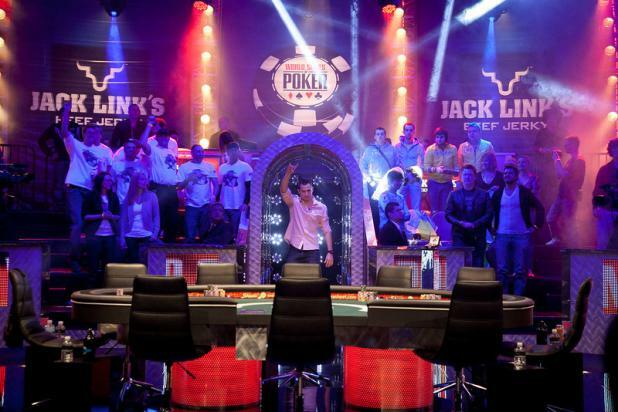 November Niner Matt Giannetti makes his entrance onto the Main Event Final Table stage.